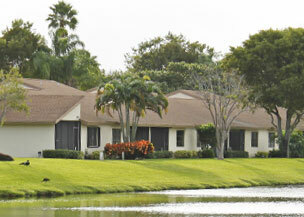 Summerwinds at Whisper Walk is a 55+ condominium community in Boca Raton, Florida. Beautifully landscaped, all of the 256 one-story villas are meticulously maintained to reflect their original pristine condition. Completed in 1990, Summerwinds is the fourth of five associations that comprise Whisper Walk. Summerwinds offers a choice of four models: the Champagne and Chateau have 2 bedrooms/2 baths; the Rosewood and Bayshore models have 3 bedrooms/2 baths. All units have a one-car garage and a driveway that can accommodate two vehicles. 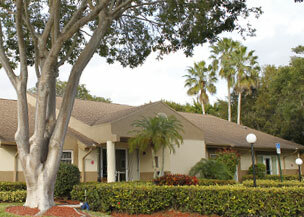 Amenities include a clubhouse with a modern exercise room, library, billiard room, office, lavatories with showers, and a large, all-purpose room for shows, meetings, card and game playing. The room has a stage for entertainers who perform in shows offered periodically at Summerwinds. The clubhouse leads out to a junior Olympic-sized pool with separate spa and pool-side seating areas. Large canopies supply shade. The pool temperature is maintained by heaters and coolers to a year-round, comfortable 83 degrees. Shuffleboard courts are adjacent to the pool area. Residents can enjoy the use of Whisper Walk's park-like atmosphere that includes hundreds of trees, five lakes, wide streets, eight tennis courts, four pickleball courts and four paddle ball courts. Summerwinds has a seven member elected Board of Directors, composed of dedicated unit owners who volunteer their time and expertise. The Board administers a professional service company for lawn and irrigation maintenance and assistance with daily operations. Ideally located, Summerwinds is convenient to shopping malls, theaters, parks, a public golf course, as well as religious and athletic facilities. For rich living at moderate cost, it's Summerwinds!